This is a fun trip with interest for all the family. 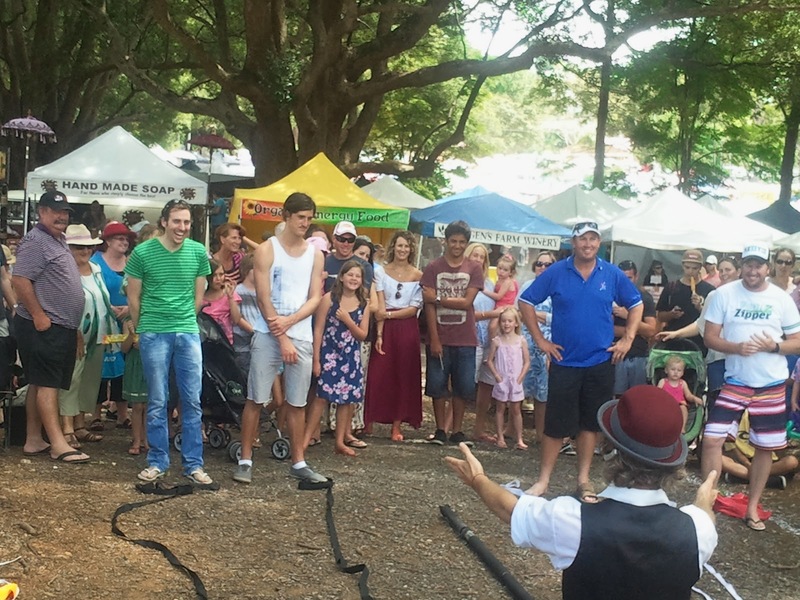 The Bangalow Markets hold surprises and curiousities for everyone. The markets are held on the fourth Sunday of each month. It opens early and slows down around mid afternoon local time. On the left soon after you go over the Queensland-NSW border, there is large service station for a quick toilet or food break. 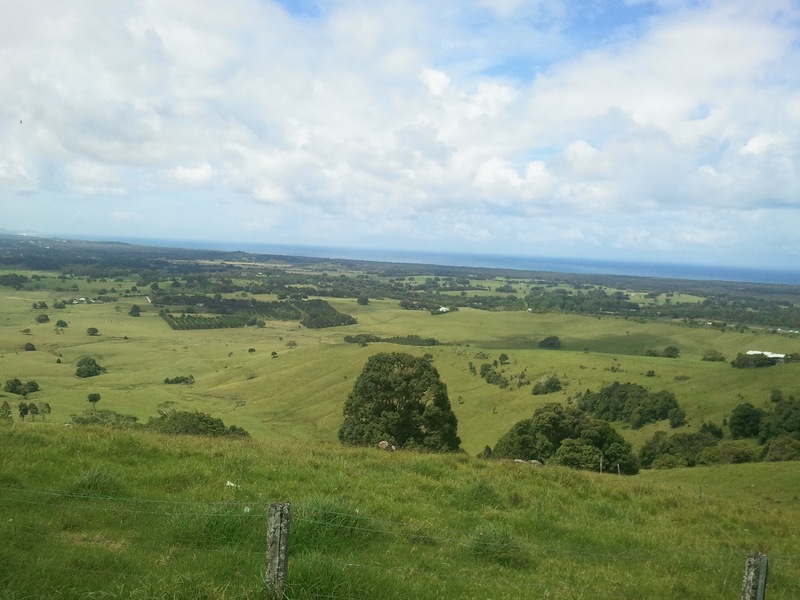 There are many sidetracks you could take but keep going south, turning left at the Bangalow turnoff which is about 6 km south of the Byron Bay turnoff. 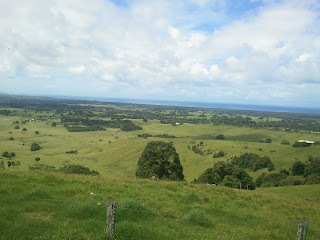 From here Bangalow is about 1 km. You won't be disappointed. This is a large market placed in a picturesque village where you can explore both market and shops. 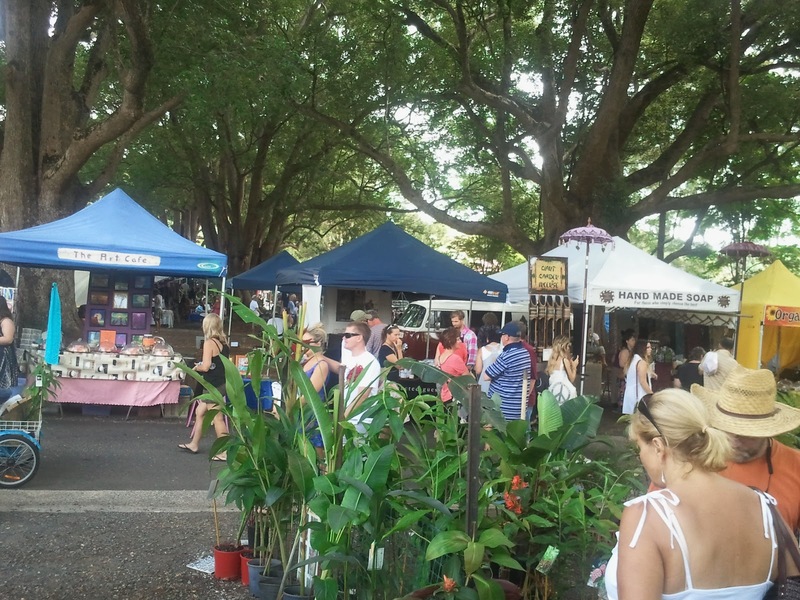 There is ample parking in the showground right next to the market for just $2; well worth it. There are few parks in the street. Just go down the hill of the main street and you will easily find the entrance to the showground on the left. 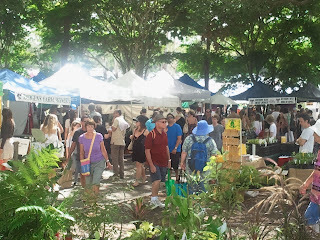 Once inside the markets you will be drawn in all directions, wanting to more closely inspect the contents of the stalls; there are a lot of them. Find an usual souvenir as a reminder of your trip; taste a variety of foods; pick up an unusual piece of clothing to match the hippie feel of the day; watch the buskers who create a marvellous backdrop; pick up artwork. The stalls are shaded by some grand trees. Don't forget that the village adjacent to the market is equally fascinating. Cottages and red brick buildings line the street. They contain all manner of goods. It is a pleasure to cruise shop to shop. 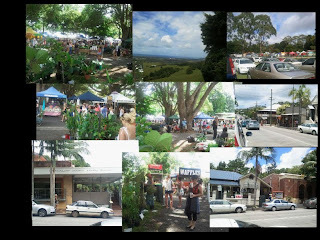 Stop for a drink or snack, even a beer at the Bangalow Hotel. I doubt you can resist the smells, feels, looks, and sounds of this whole scene. A buzz of a day out.